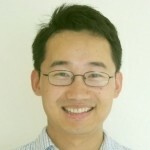 My name is Xu Cui (崔旭), currently a Stanford research scientist and entrepreneur. I am interested in brain, quantum mechanics, statistical mechanics, MatLab and Adobe AIR. I am also interested in badminton. Brain Brain is mysterious. I received a Ph.D in neuroscience in 2007. One thing I learned about brain is that everything is constructed by brain, including time. I studied time perception using fMRI with Drs Read Montague and David Eagleman at Baylor College of Medicine. I am also interested in consciousness, perceptual space-time, brain-computer interface and mind-reading. 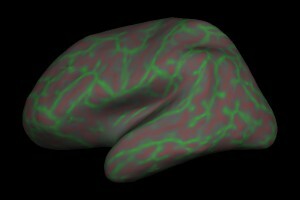 Here is my own brain inflated (red=sulci and green=gyri) using freesurfer. I also use Near Infrared Spectroscopy (NIRS) to measure human brain activity in vivo. A few publications can be found here. Recently (today is 2017-05-23) I am interested in deep learning, and its relationship with brain. Quantum mechanics Nothing is more puzzling than the behavior of an electron when it passes a wall with two slits. Which slit did it pass? Statistical mechanics Entropy is a beautiful concept. MatLab a great tool for numeric computation - especially in my field (fMRI and NIRS). I (together with Jian Li) wrote xjView, a program for visualizing brain images. Adobe AIR a great tool for elegant interface. Check out PaperBox, a cloud paper and PDF manager I developed. I still use AIR to develop some tools occasionally but am no longer passionate about it. Badminton Badminton is fun. I (together with my fantastic friends) organized the 5th Texas Medical Center Badminton Tournament. Steve Blank: Inside Stanford’s Hottest Student Startups: Class 2 | HuffPost | Know All That! | Know All That!